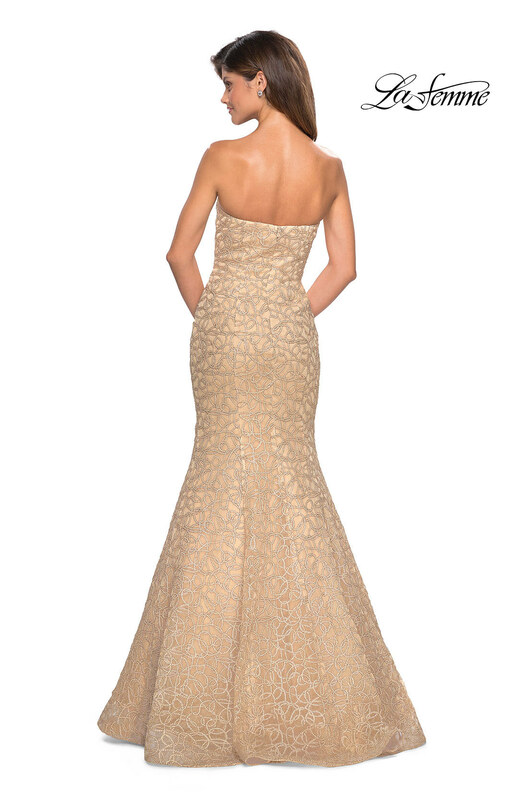 Stun in La Femme 27267 at your event! 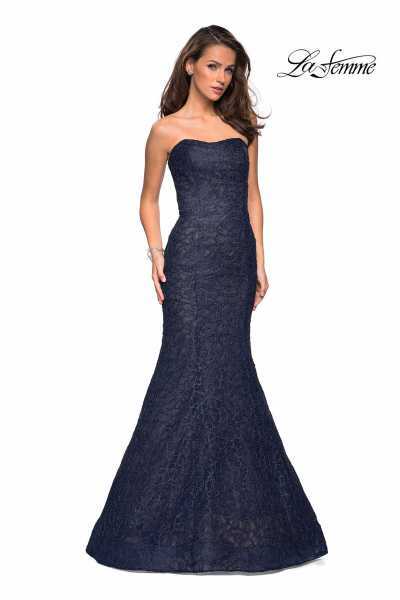 This dress mixes a timeless shape with the trends of today. 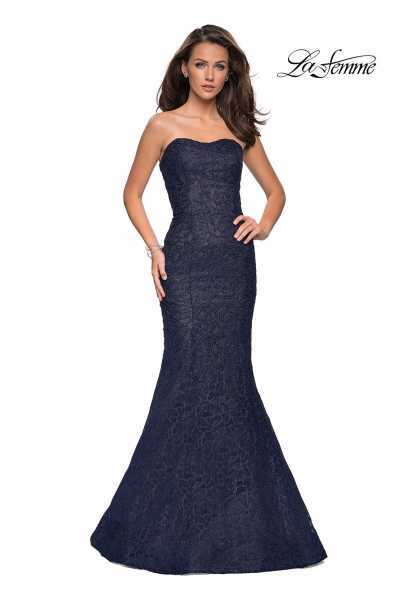 It has a metallic lace overlay paired with the fit and flare silouhette and a zippered back. 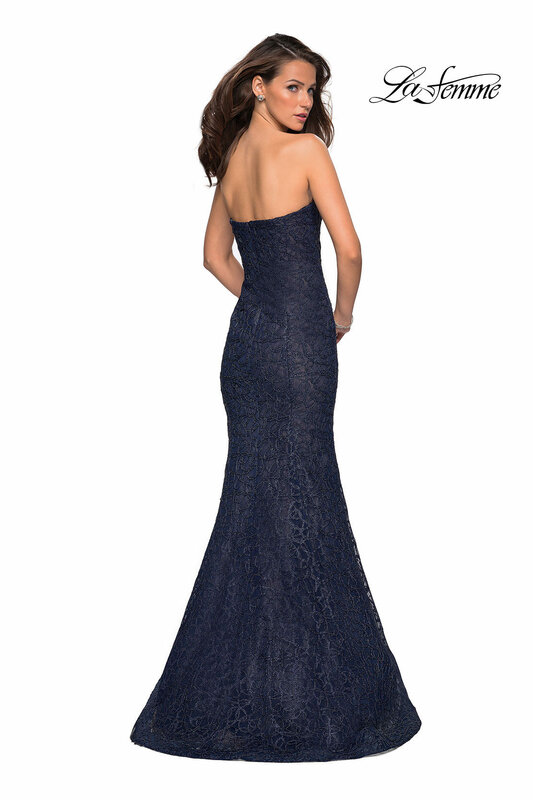 It comes in four gorgeous colors.